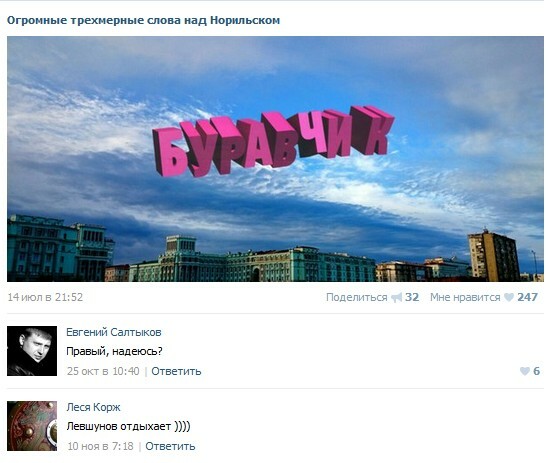 VKontakte, the largest social networking service in Russia, has many communities with narrow specific topics. How are they different from any other entertainment resources? Usually they do not use existing memes and don’t repost stuff from others (with rare exceptions). Also, they are specific niche oriented. 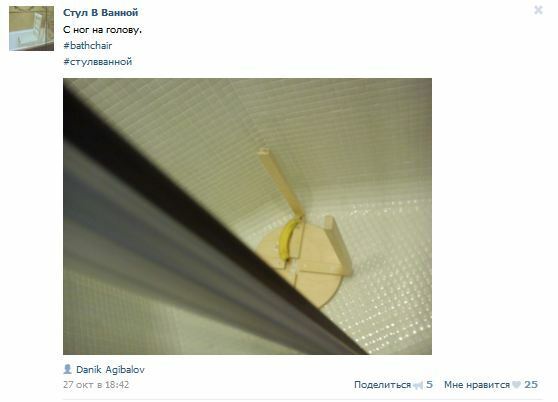 Their audience is usually quite small, but because of the narrow topic, visitors are very loyal. 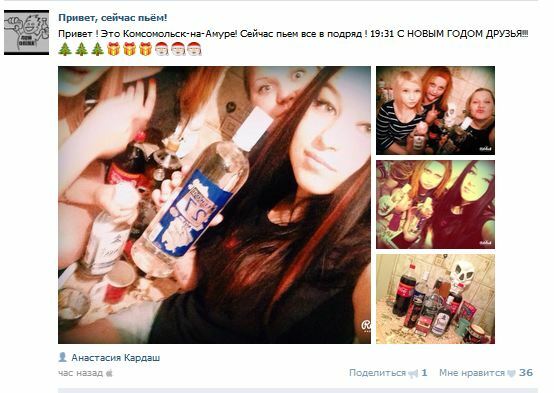 Loyalty is achieved by using viral content, which is often absurd. 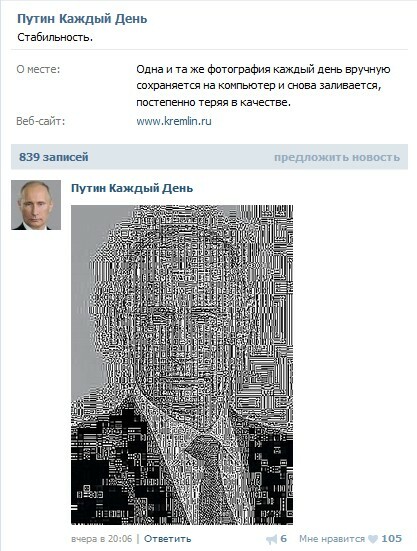 Weblog Likeni.ru chose four strange communities. 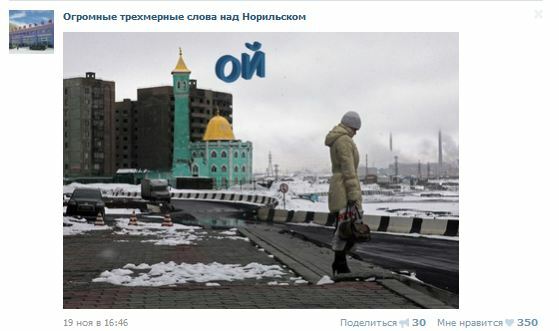 This community with over 3,000 subscribers is sharing digitally edited pictures of Norilsk with bizarre 3D messages. “Ups” – that was weird. 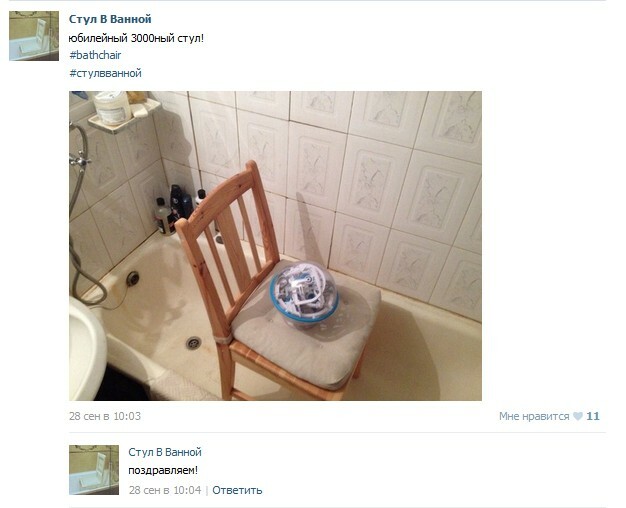 330 followers of this bizarre community share pictures of random chairs in bathrooms. Actually, this one might be useful for product placement. 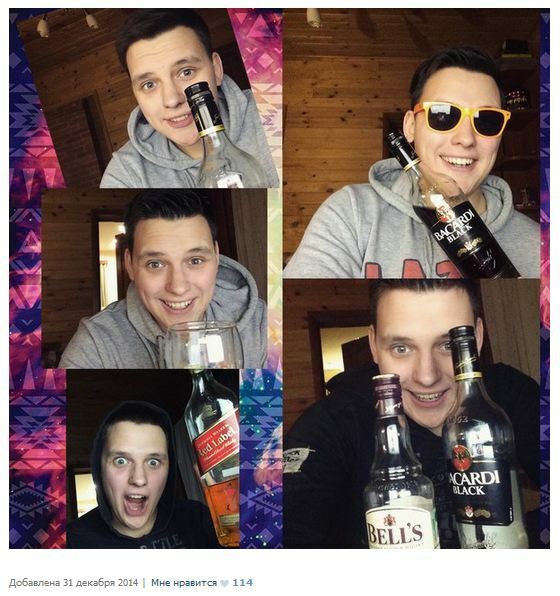 Feel yourself a bit tipsy and lonely? 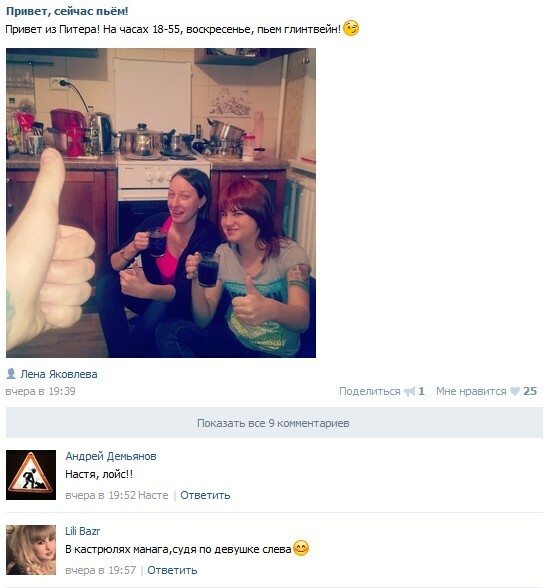 Come join this great Russian community with over 35,000 subscribers who regularly share images of own drinking parties. 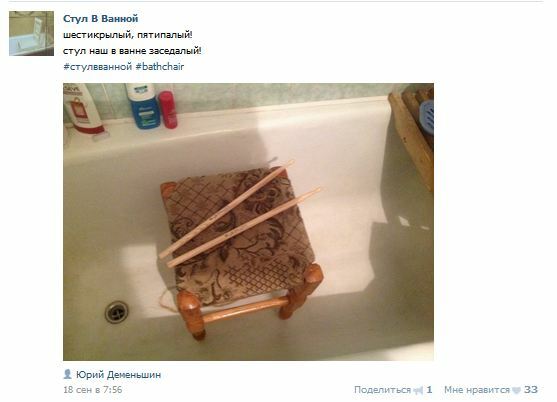 Many odd communities are created daily on VKontakte. Some of them, somehow, become incredibly popular, others are forgotten.